Here at Brent Carpet Company Ltd, we endeavour to supply only the highest quality carpets and flooring solutions to both domestic and commercial clients all across Central London and the surrounding London areas. We have plenty to offer here at Brent Carpet Company Ltd. As a trusted and experienced carpet supplier, we supply a wide range of styles and colours from leading brands, so you can be confident that your own personal tastes and requirements are expertly catered for. We supply and fit carpets and flooring to suit any home, room or business. From luxury and natural carpets to laminate, rubber, and vinyl flooring, we will help you find the ideal flooring solution to suit your every need. Clients in Edgware, Harrow, Central London and the surrounding areas can enjoy our home consultation service where we visit your property and provide a comprehensive range of samples to help you choose what’s right for you. 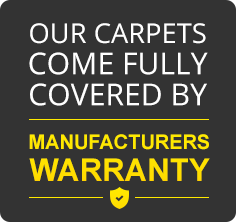 All our carpets and flooring solutions are safely and carefully fitted by our highly qualified team, so get in touch today to take advantage of all our services and we will be more than happy to help.